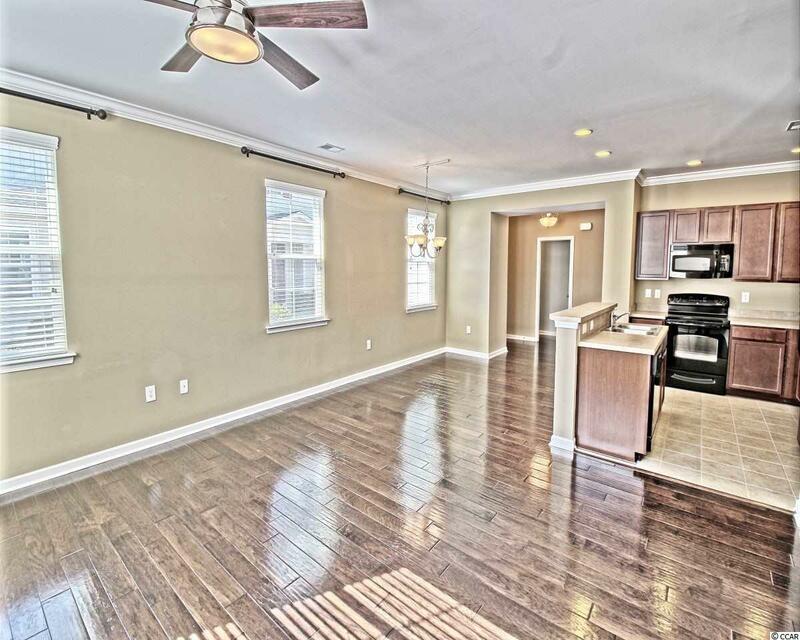 Beautiful 3 bedroom, 2.5 bath, 2 car garage and courtyard. Master suite is on the first floor, two bedrooms, full bath, desk area and large storage closet upstairs. 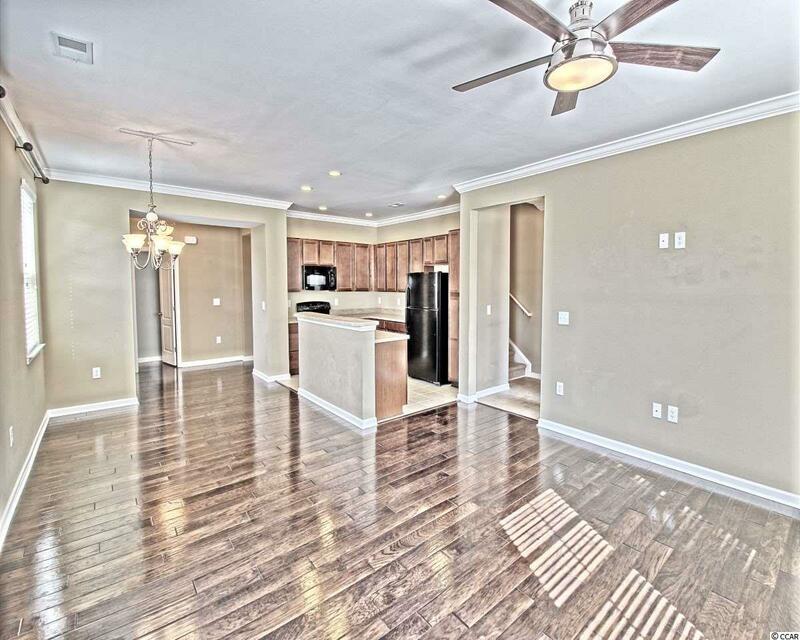 This is an End unit with lots of windows and natural light, courtyard, ceiling fans, master bath includes garden tub with separate shower, double vanity, hardwood floors in living, dining, foyer and powder room, tile flooring in kitchen, laundry and two full baths. 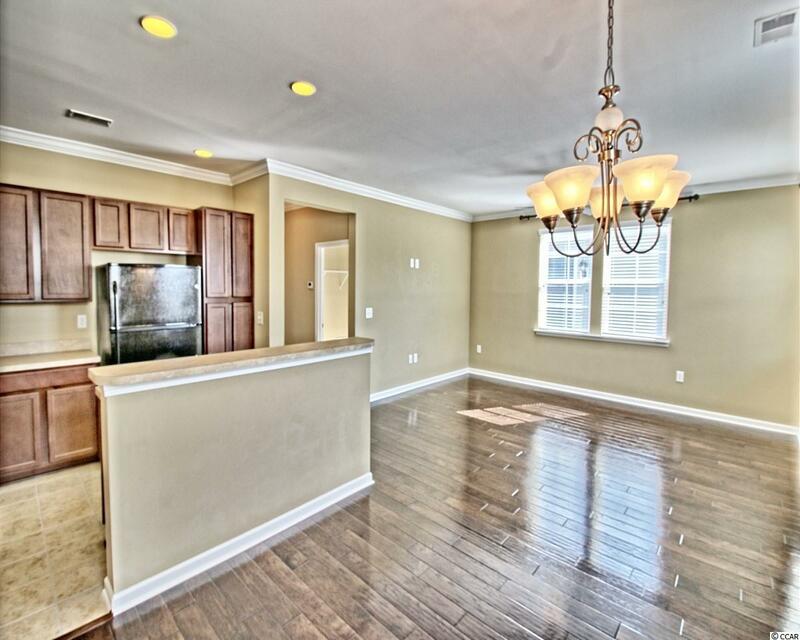 Spacious, open floorplan, lots of natural light, foyer, laundry room, lots of storage and much more! Located in Emmens Preserve at the Market Common. Convenient to everything, drive your golf cart to the beach, grocery stores, dining, shopping, etc. Great community with lots of amenities, resort style pool with kiddie section, playground, grill and picnic area, fitness room, outdoor kitchen and pavillion, bark park, bocce ball courts, clubhouse, lakes, walking trails and less than a mile to the beach. Convenient to everything, shopping, dining, healthcare, golf, attractions, entertainment, schools, piers, waterway, boardwalk and the beach. Perfect for a primary, secondary, investment property or a beach getaway. Awesome neighborhood, friendly and social, less than a mile to the beach, golf cart is the vehicle of choice. The Market Common offers sports bars, dining options, cafe's, fine dining, move theater, quaint shops, walking and biking trails, lakes, ball fields, Savannah's Playground, gym, Valor Park, shopping, Warbird Park and so much more! Absolutely Beautiful area. Easy access to all main roads, Highways 17 Business & By-Pass, 544, 501, 31, 22 and many local and frontage roads that make getting around a breeze. 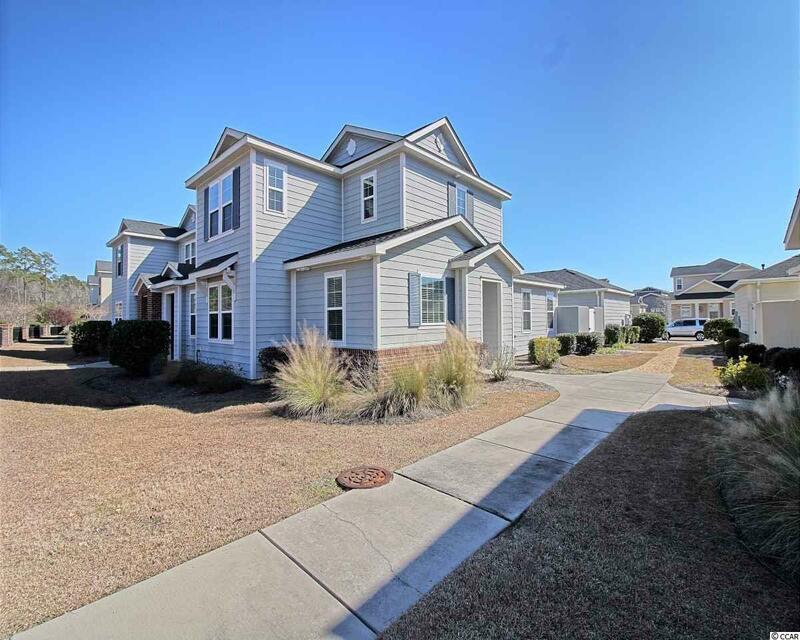 With access to all these roads, you can be at any point of the Grand Strand or the county within a short drive. Location, Location, Location! Don't miss out on this opportunity to own your own piece of paradise and start enjoying the laid back Southern lifestyle that can only come from living at the coast! Come Home To Emmens Today!!! All measurements and square footages are approximate and not guaranteed. Buyers are responsible for verification of all information.